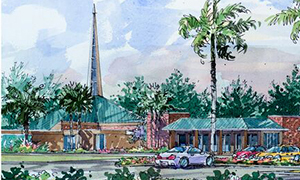 New Hope Community Church is a Reformed congregation in Fort Lauderdale, Florida. Even though we are wonderfully diverse in so many ways, we are singular in mind, heart and purpose when it comes to worshiping our Lord Jesus Christ. We invite you to browse our website and learn more about us. We would love to have you join us for either of our weekly Sunday morning services. We offer a "traditional" service at 8:45 am and a "contemporary" service at 11:15. On the first and third Sundays of each month we hold an evening service at 6:30. If you are looking for a church family, we would love for you to be part of ours. Come see us this Sunday!